These are the kind of tools I believe Bob means when he says “core industrial engineering methods,” the only problem being that you find them neither in the Industrial Engineering Handbook nor in the IE curriculum of most American universities. They have the look and feel of classical IE and should become part of it, but it hasn’t happened yet. There is nothing wrong with starting with tools, as long as you don’t get stuck there. You have to move on from production engineering tools like the above, to tools for production control, quality, maintenance, and other support activities; then on to rethinking the roles of managers until, finally, you get to a point where “the way we do things” — otherwise known as culture — has changed. Bob’s paragraph about Kaizen confuses me in describing Kaizen as critical to teaching “Continuous Improvement and Respect for People.” I am used to thinking of Kaizen and Continuous Improvement as the same thing. There is ambiguity in all these terms, along with, perhaps, deliberate mistranslation. Toyota is under no obligation to teach its system to the rest of the world. It’s good public relations to appear to be doing it, but they don’t have to do it so deeply and accurately that other organizations can actually apply it, especially when their representatives are so quick to conclude that they get it, that it’s nothing but common sense, or that there is nothing in it that our IEs haven’t figured out 100 years ago. 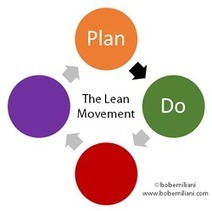 At Toyota, even though Kaizen is translated as continuous improvement, “continuous” is taken to mean “all the time.” As Kei Abe put it, you start improving when you first open the plant and don’t stop until you close it down. In this sense, improvements large and small all fall under the umbrella of Kaizen. Outside of Toyota, to authors like Tozawa Bunji or Masaaki Imai, Kaizen (改善) designates small, incremental improvements to the way the work is done, designed and implemented by those who do the work. They also translate it as continuous improvement, as opposed to massive change, or reform, known as Kaikaku (改革). And “Respect for People,” as needs repeating, is a mistranslation. The actual principle is “Respect for Humanity,” and it does not mean being polite but taking advantage of all the abilities that are special to humans, including not just dexterity and strength but also cognition and creation. And the motivation is that, otherwise, you are competing with one hand tied behind your back. Bob and I also have different perspectives on the so-called “Scientific Management,” but that was our previous conversation. Lean’s Midlife Crisis | Bob Emiliani Is Vendor Selection Really The First Step in ERP Implementation? Hi Michel – As usual, we are mostly in agreement. The Toyota Way 2001 booklet characterizes “Continuous Improvement” as being made up of three parts: Challenge, Kaizen, and Genchi Genbutsu. That’s why I said kaizen is critical to teaching the CI principle. When I was taught kaizen by Shingijutsu, Challenge and Genchi Genbutsu were not separate from kaizen. Of course, you are correct about “Respect for Humanity.” Again, I am using the words “Respect for People” presented in the English version of The Toyota Way 2001 booklet. As you know, people span all stakeholders. I particularly like your words: “Toyota is under no obligation to teach its system to the rest of the world. It’s good public relations to appear to be doing it, but they don’t have to do it so deeply and accurately that other organizations can actually apply it…” Indeed. “We are going to win and the industrial west is going to lose. There is nothing you can do about it because the reason for your failure is within yourself. With your bosses doing the thinking while the workers wield the screwdrivers, you are convinced that this the way this is the right way to run a business. For you the essence of management is getting the ideas out of the heads of the managers and into the hands of labour. The survival of firms today is so hazardous in an increasingly unpredictable environment that their continued existence depends on the day to day mobilisation of every ounce of intelligence. For us the core of management is the art of mobilisation and putting together the intellectual resources of all employees in the service of the firm. We know that the intelligence of a handful of technocrats, however brilliant they may be, is no longer enough to give any real chance of success. If companies are to win on the global battlefield, they must combine the lean activities of Toyota, with the customer experience management techniques of Disney and the product development effectiveness of Lockheed’s ‘Skunk Works. They must then identify the real ‘Experts’ as the people who directly or indirectly do the work that produces the P, S & E for the customer. Everyone else is their to support these activities. Good luck releasing your own ‘Experts’. Looking back 40 years later, the Matsushita quote looks more like nationalistic hubris than foresight. Matsushita’s “PHP” stands for Peace and Happiness through Prosperity, and is a publishing house promoting the thoughts of Konosuke Matsushita. If you google PHP today, however, what comes up instead is the programming language designed 21 years ago by Danish-Canadian engineer Rasmus Lerdorf. This blog is on the WordPress platform, which is written in PHP. Times change.